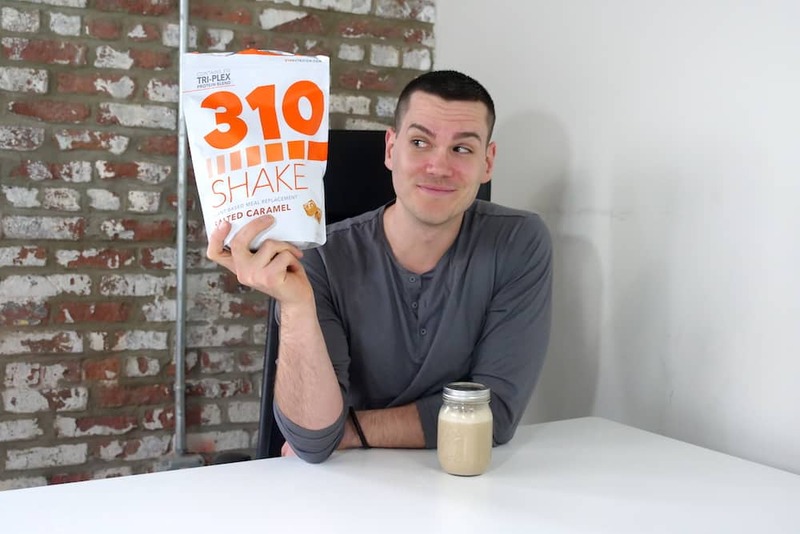 Home » 310 Meal Replacement Shake Review — How Does It Taste So Good? 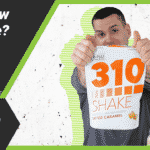 310 Meal Replacement Shake Review — How Does It Taste So Good? 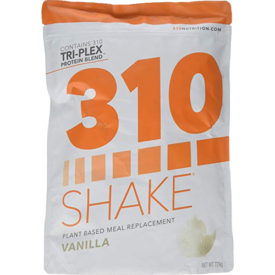 The 310 Meal Replacement Shakes offer a tri-plex blend of protein to control hunger and promote muscle growth. 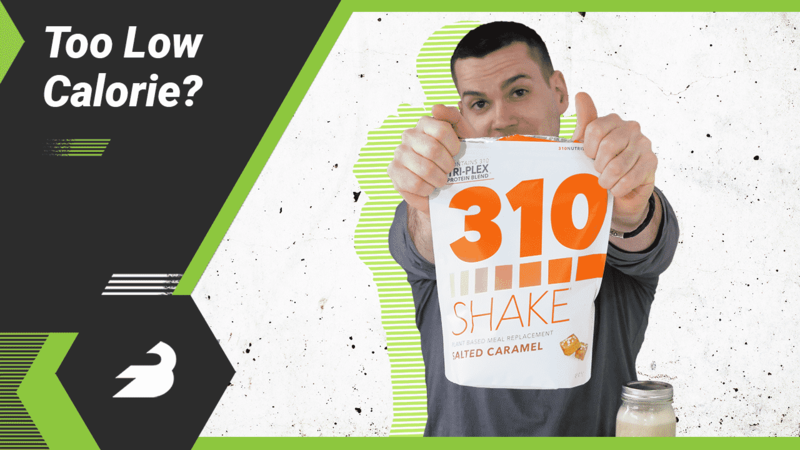 We picked up the Salted Caramel flavor and there are 90 calories in one serving: 15 grams of protein, 7 grams of carbohydrates (5 grams of fiber, no sugar) and 1.5 grams of fat (no saturated fat). As far as micronutrients go, there is about 30 percent of your recommended daily intake for a pretty wide variety of vitamins and minerals: Vitamin A, C, D, E, B-vitamins, iron, magnesium, zinc, and others. This is a plant-based shake with the protein coming from pea, rice, and hemp. There’s also a fiber blend of soluble fiber, waxy maize, and xanthan gum; a greens blend of organic green vegetables; and a billion probiotic bacteria from lactobacillus acidophilus. This is all-natural. The flavor comes from natural flavors, stevia extract, and salt. There’s no sugar, dairy, soy, eggs, nuts, or gluten. First off, this is a very low calorie meal replacement; it’s unusual to find one that’s under 100 calories. It’s also very low in fat, with just 1.5 grams per serve. And while 7 grams of carbs (about half of the protein count) may not seem that low, 5 grams come from fiber, so it’s low in net carbs. What that means is that despite claiming to be a great meal replacement, this isn’t a dense source of carbs and fat, macronutrients we need throughout the day. That might not be a big deal, but it does mean you may need to ensure you consume carbs and fat in other meals. As far as nutrition goes, there’s a good 30 percent of most of your daily nutrients. That’s pretty good news, but you will need to ensure you’re getting plenty of fruits and vegetables to properly meet your recommended daily intake. This is especially true since, and this is important, the 310 Shake is low in potassium (1%) and there’s no mention of Vitamin K, manganese, chromium, or choline. But a big advantage it has is the focus on digestion, with a billion probiotic bacteria and a dose of prebiotic fiber as well. The price fluctuates, but you can typically pick up a bag of 28 servings for about $70, or $2.50 per serving. That’s relatively expensive for a meal replacement shake, but you can save money by subscribing to a monthly shipment, which lowers the price by 5 to 10 percent, or by picking up a “kit” that includes a variety of other products. I was pretty surprised with how good the Salted Caramel flavor tasted. For a product with zero sugar and zero artificial sweeteners, I was skeptical. But it tasted pretty darn good, even with just natural flavors and stevia. It’s a little mild, but it’s still very convincing and if you can spare the calories, it’s excellent with milk. Note that this flavor is a higher in sodium than others, with one scoop providing 370mg or 15 percent of your daily intake. 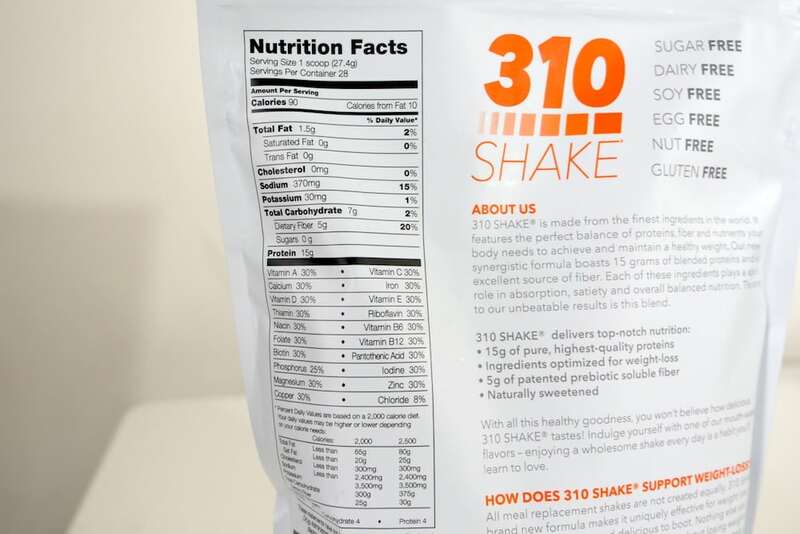 The 310 Shake is less about replacing a whole meal than it is with facilitating weight loss through very nutritious protein shakes, and in that respect it may succeed. I also liked the fact that it comes with a dose of probiotic bacteria and prebiotic fiber; these are foods that few people consume every day and I respect a meal replacement shake that delivers them. It doesn’t have every micronutrient we need — remember that it has practically no potassium or Vitamin K — but it gets the job done and it tastes good while it’s at it.